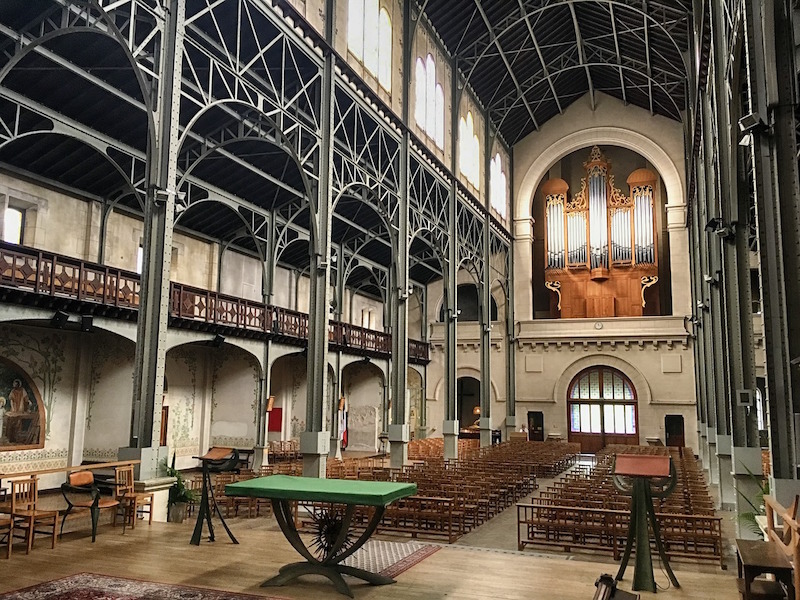 A period opened in 1894 with the sumptuous church of Saint-Jean de Montmartre, which reached its peak with the “chantiers du Cardinal Verdier”, where more than 100 churches have been built in the Paris region between 1931 and 1940. 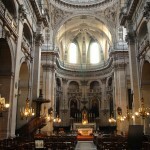 Selection of these churches to see in Paris if you want to discover an original architectural and religious heritage. Behind the Bastille, the district of La Roquette is a historically working and popular district. 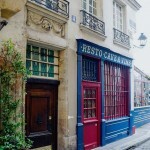 To evangelize the workers, more favorable to revolutionary ideals than to Christian fervor, Father Anizan, a pioneer of Catholic action in working-class districts, had a chapel built on rue de la Roquette. Built with medium quality materials, it was completely rebuilt in 1997. 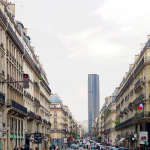 A resolutely modern architecture, to discover for example during a walk in the courtyards and passages of the rue du Faubourg Saint-Antoine. 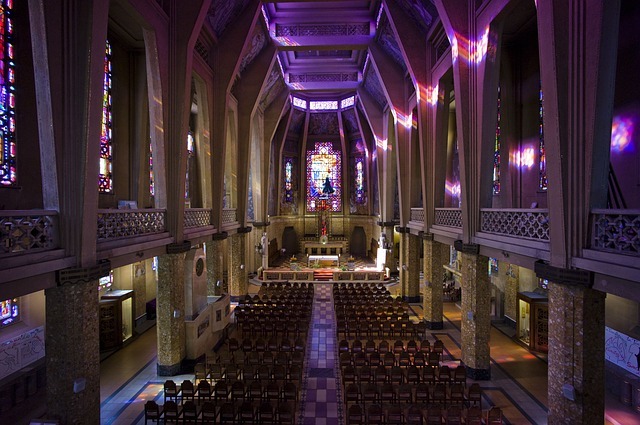 One of the most original 20th century churches in Paris, Notre-Dame-du-Travail hides behind a rather ordinary facade an exceptional interior. 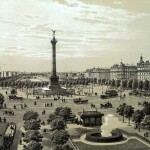 Built in the early 20th century to welcome the mass of workers newly settled in the 14th arrondissement, its interior decoration, including the use of metal beams, has been designed to offer workers a familiar scenery. Everything here pays homage to work, from the name of the church to the canvases celebrating craftsmen. Built from 1933 to 1935, this church is part of the Chantiers du Cardinal. 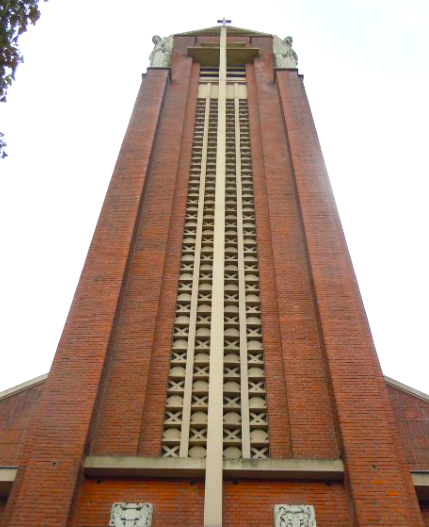 Outside, a 46 meter high bell tower and a reinforced concrete architecture covered with bricks. 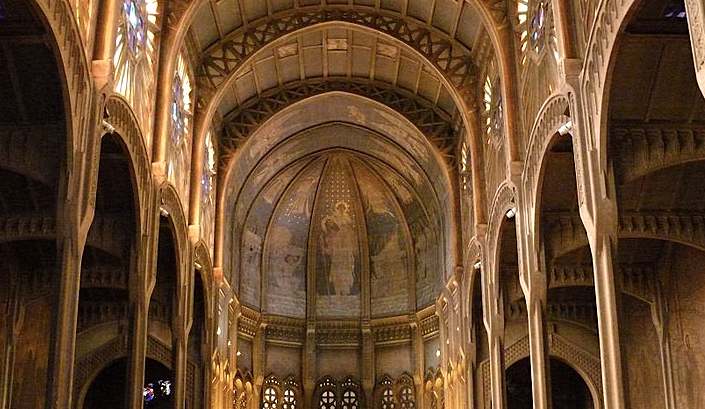 Inside, a simple but modern style, adorned with stained glass windows, statues, and carved frescoes. Another Church of Chantiers du Cardinal, it is inspired in its general plan of the ancient basilica of Hagia Sophia, celebrating the Byzantine origins of sacred architecture. Behind a rather discreet red brick facade hides a monumental complex, entirely built of reinforced concrete. 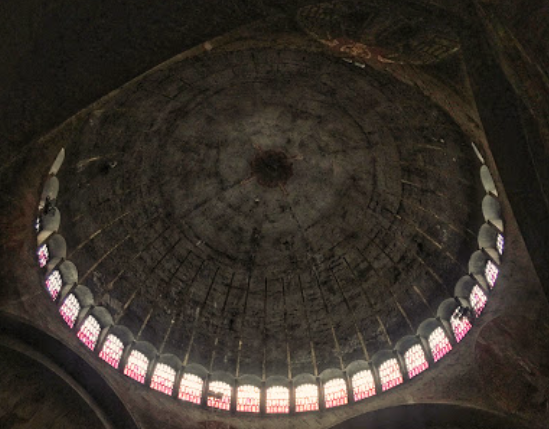 A dark atmosphere illuminated by imposing central dome which offers a curious mix of modernity and tradition. 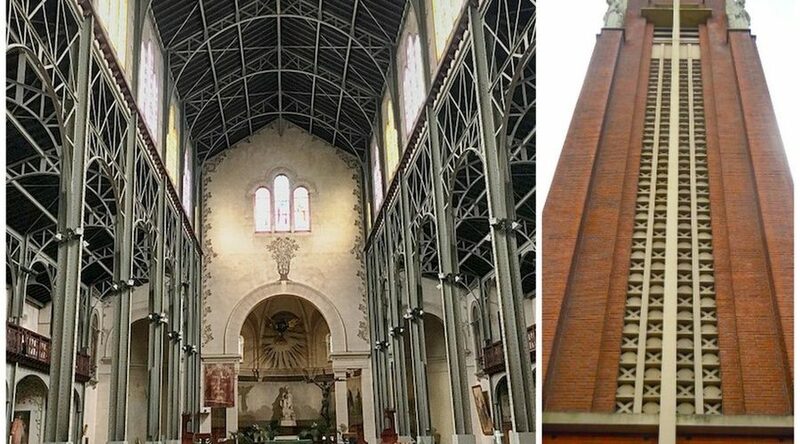 Built between 1926 and 1934 near the Citroën factory, one of the largest industrial sites in Paris (now the Parc André Citroën), this church is logically dedicated to St. Christopher, patron of travelers. An original molded cement architecture, the first church built with this method, inspired by Gothic art from the 13th century. 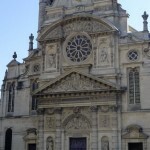 This church located in the 20th arrondissement is one of the most beautiful achievements of the Chantiers du Cardinal. 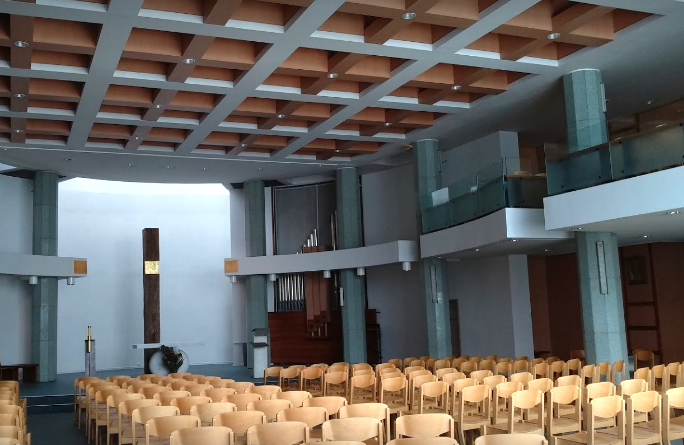 Sixtieth edifice of this vast operation promoting Catholicism, its contemporary style is inspired by the Art Deco, architectural movement very popular at the time of its construction. More information about l’église Saint-Jean-Bosco. 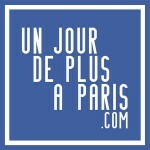 Why rue de Rennes begins by number 41 ? 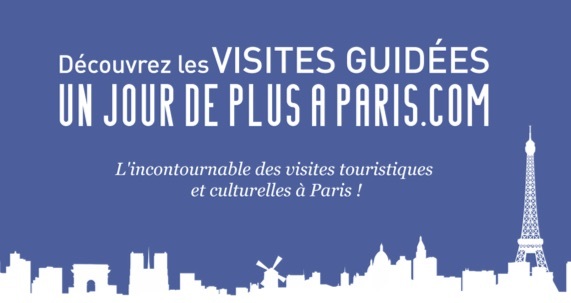 A curious tale in the heart of the 6th arrondissement ! An extraordinary history and heritage. Simply one of the most beautiful churches in Paris. 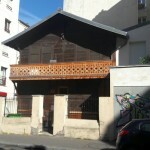 An amazing 19th century construction hidden in the middle of rue de Meaux. 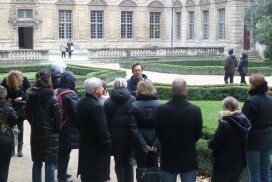 From the ancient medieval fortress to its modern conception, discover the history of this symbol of the French Revolution. 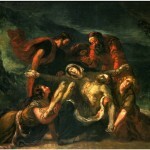 Paintings of Eugene Delacroix, master of Romanticism, to discover in Paris churches.